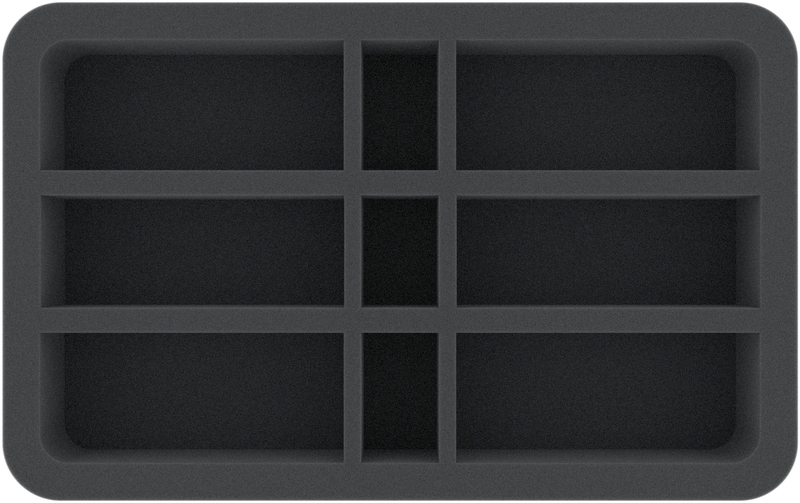 This Half-Size foam insert is divided into 9 compartments with 3 different sizes. It is ideal to clearly and safely store elongated models of the Gloomspite Gitz. It is therefore ideal for stowing Squig Hoppers or Fanatics. You can fill the 3 small compartments with Squigs or use them as dice compartments. 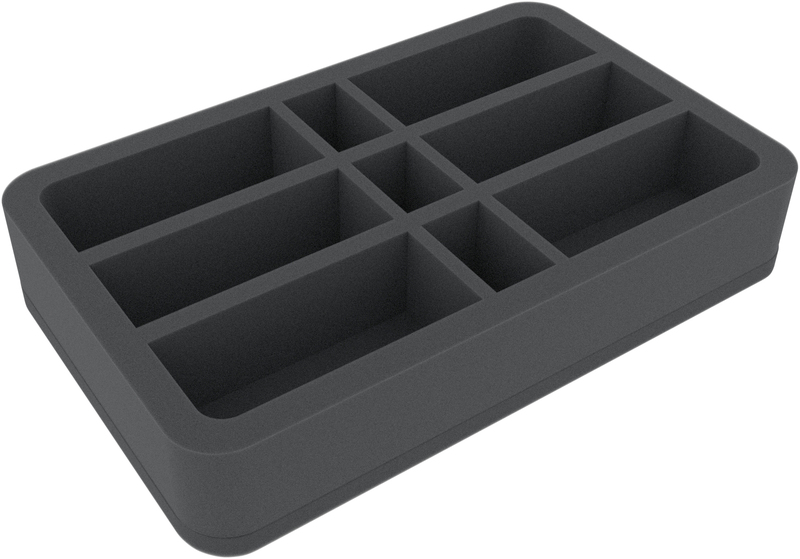 This foam tray has the dimensions: 275 mm x 172 mm x 50 mm total height (40 mm usable height + 10 mm foam base).